When you work in the foodservice industry, cleanliness is a necessity. If you risk cooking in a dirty kitchen, there can be unwanted consequences for both your staff and diners. There are several kinds of bacteria and viruses that can creep into an unclean kitchen. Experts say that restaurant floors tend to get soiled very quickly during the day, which immediately leads to significant bacteria growth. When this happens, you can be exposed to germs and bacteria, which can lead to several kinds of illnesses and infections. This is why it’s important to take cleaning seriously. To make sure you can clean effectively and thoroughly, there are a number for professional cleaning equipment like industrial sweepers and scrubbers that you can use. Before you do anything else, you need to give the floors a good sweep. An industrial sweeper will efficiently sweep any debris and dry dust from the floor. The sweeping speed of this machine can be over three miles per hour so it can sweep a sizable area very quickly. 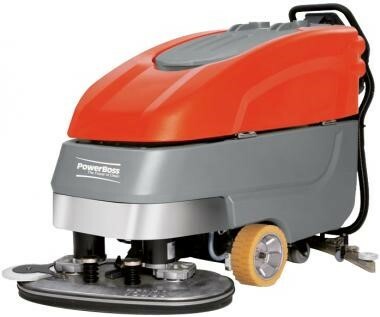 The battery gives good sweepers an average runtime of three hours, giving you more than enough time to spruce up your restaurant floor. And for something more efficient, you can also opt to get a ride on sweeper. These machines are capable of driving towards any floor dirt to remove it. Moreover, certain models come with a Safety Vision Dumping System so that the operator can easily and safely dispose of any dirt at heights up to 60 inches tall. When you want your restaurant floors scrubbed completely clean, you should use an industrial scrubber to get the job done. Some models are capable of covering as much as 26,000 square feet per hour, making cleaning quick and efficient. Meanwhile, the walk-behind version is great for cleaning below obstacles such as racks and shelves. You better believe it! You can now get an industrial machine that functions both as sweeper and scrubber. Depending on the model, some can easily cover as much as 67,000 square feet per hour. There are also models that allow you to change brush pressures for more intense scrubbing. Consider these professional cleaning equipment for your restaurant. Avoid contamination and food poisoning issues when serving food to your diners. By using these regularly, you can also say without a doubt that your restaurant is extremely clean and ready for inspection anytime.